The Tall, the Short, and the Heavy - An appreciation for these oft forgotten misfits of society. Hollywood is generally known for casting beautiful ingenues and handsome men. Lately though a trend of acceptance seems to have surfaced as actors with physically unique characteristics seem to have broken through the veil of perfection and given prominence to previously marginalized individuals. One such show that has introduced characters rife with unique quirks is “The Blacklist”. This provided a jumping board as we focused our attention on unique actors from the past and present who have gained notoriety and a taste of fame for allowing audiences to appreciate the characters they chose to embody. While Hollywood seems to be more open to making unique casting choices of late, yet it still only requires a very “Short Bus” to hold the roster of physically unique actors. What do you do with an actor who stretches past 6’6”? Cast him as Frankenstein, Bigfoot or an Alien of course. Well known for his portrayal of “Lurch” in The Addams Family (1964-66), Ted Cassidy also the hand model for “Thing” on the show. 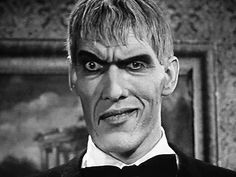 While not specifically different or abnormal in appearance, Ted Cassidy’s 6’9” stature and deep baritone voice singled him out for unique roles. He reprised the role of “Bigfoot” originated by Andre the Giant in “The Six Million Dollar Man”, he provided the opening narration and voiced the character of the “Hulk” in “The Incredible Hulk” (1977-82). 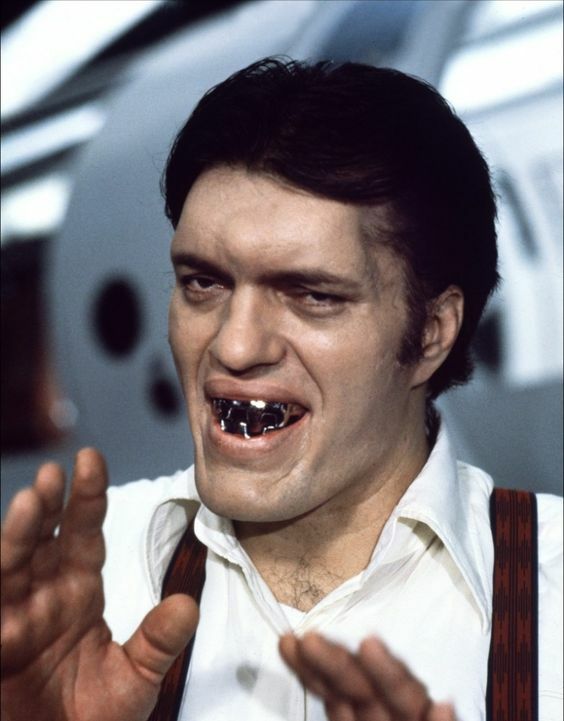 7’1” tall actor Richard Kiel is best known for his role as “Jaws” in the James Bond films “The Spy Who Loved Me” (1977) and “Moonraker” (1979). Richard made a big splash playing a straight role in “Happy Gilmore” (1996) he made his living however by mainly by playing genies, monsters, aliens and brutish thugs. 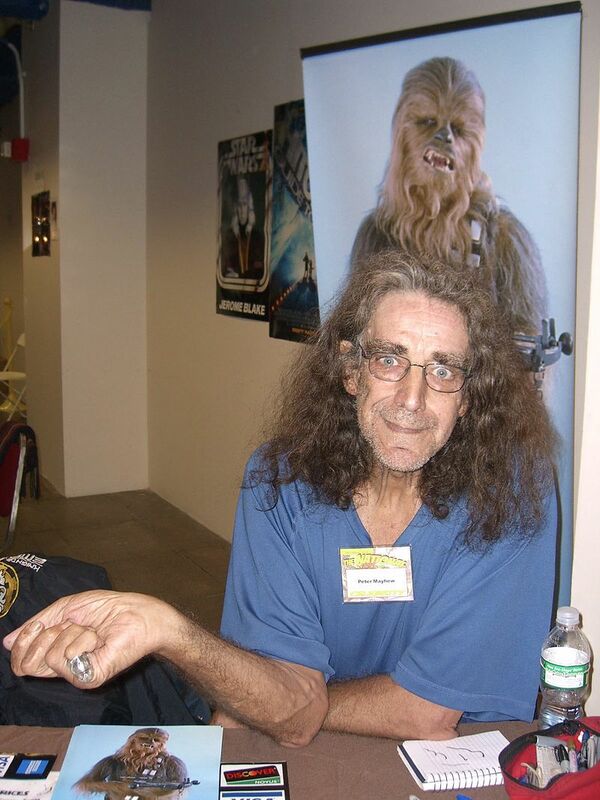 At 7’3” Peter Mayhew was snatched from his position as a hospital orderly when George Lucas went looking for a tall actor to portray “Chewbacca” in the first “Star Wars” film. 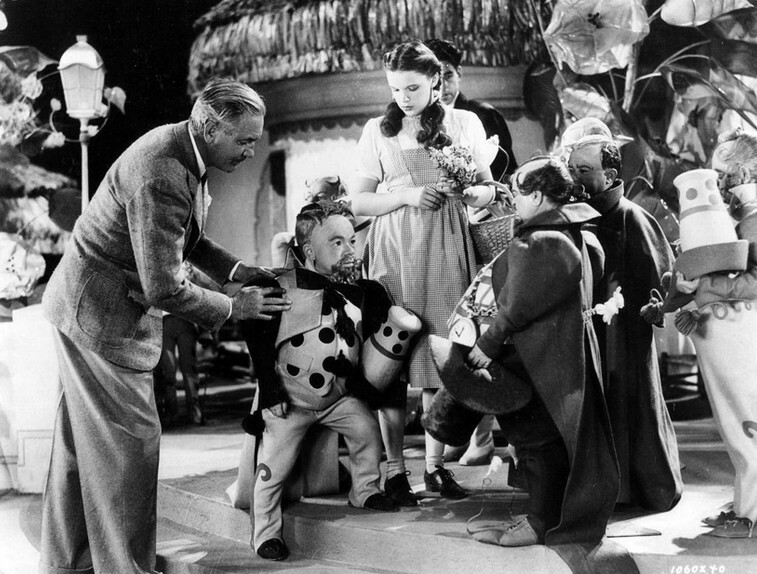 “The Wizard of Oz” (1939) was somewhat of a unique exception when 124 little people were cast to portray munchkins. Most of the performers cast by Leo Singer came from his Vaudeville troupe “Singer’s Midgets”. While a few other films like “The Terror of a Tiny Town” (1938) made use of some of Singer’s diminutive troupe of performers. They disbanded and left Hollywood not long after the release of “The Wizard of Oz”. 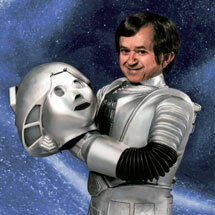 Felix Silla portrayed long-haired “Cousin Itt” on “The Addams Family” (1964-66) and his short stature also garnered him the role of “Twiki” on “Buck Rogers in the 25th Century” (1979-81). Felix worked as a stunt performer as well and would often double as children in certain scenes. 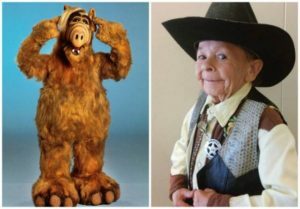 His unique frame cast him in roles on “Star Trek-TOS”, “Bewitched”, “Spaceballs”, as an Ewok in “Return of the Jedi”, and as a child gorilla in “Planet of the Apes”. 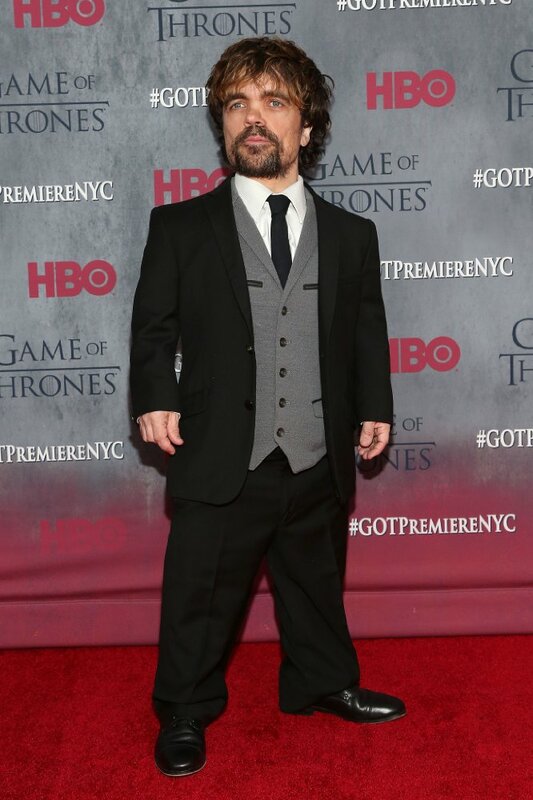 Peter Dinklage is an actor who hasn't allowed his reduced 4' 5" stature kept him from commanding the screen and power-housing his way through performances worthy of full sized actors. He won many fans and 2 Best Supporting Actor Emmy's for his portrayal of "Tyrion Lannister", on the HBO series, "Game of Thrones" (2011-present). He has also created many memorable characters in movies like "Elf" (2003) and "X-Men: Days of Future Past" (2014). Clark Middleton is best known to current audiences as “Glen”, the DMV employee who tracks the location of people at the request of “Raymond Reddington” in “The Blacklist” (2013-present). Middleton suffers from a lifelong struggle with juvenile rheumatoid arthritis which distorted his hands and led to a seized neck and hobbled gate. 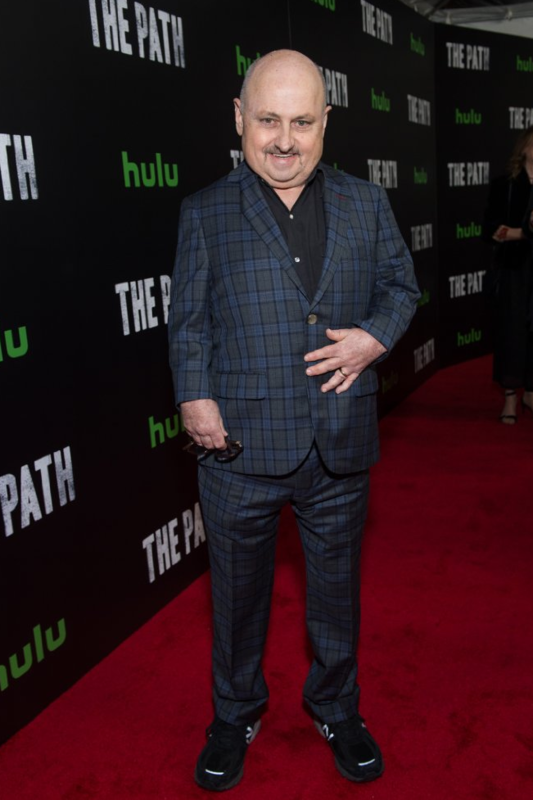 His 5’4” stature and unique appearance has led to numerable performances since 1983 including the role of “Markham” an eccentric used book dealer in “Fringe” (2008-2013). Similar in appearance and stature to Meredith Eaton is British actress Lisa Hammond. 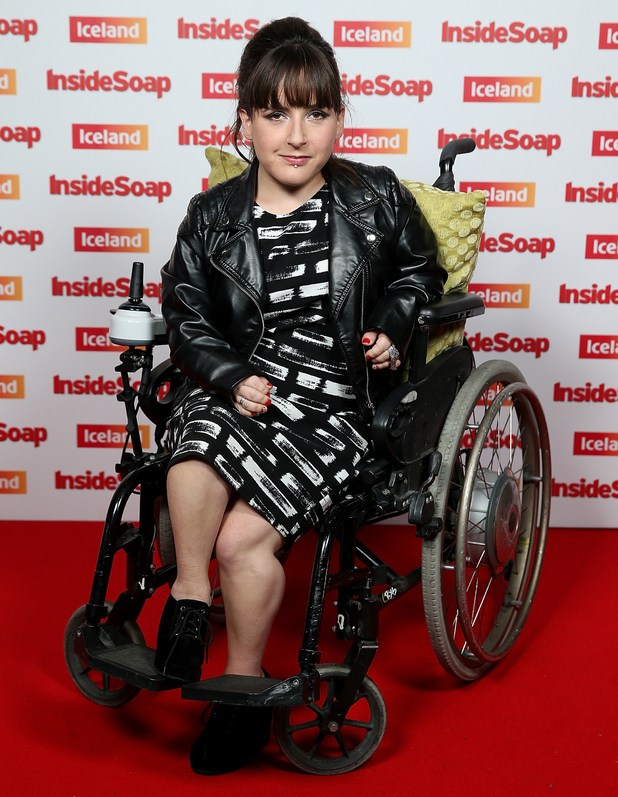 She has been a regular on the British soap “EastEnders” since 2014 she also appeared on the British detective series “Vera” from 2015 to 2017. 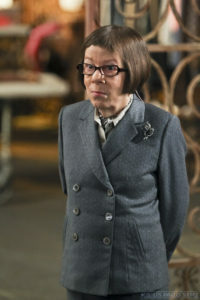 Standing at 4’9”, diminutive actress Linda Hunt is well known for her role as Henrietta "Hetty" Lange on “NCIS: Los Angeles” (2009-present). She made her film debut in “Popeye” (1980) as “Mrs. Oxheart”. Her second, breakthrough and Oscar winning role was as “Billy Kwan” in “The year of Living Dangerously” (1983). Kenny Baker is best known as the R2D2, “the man in the can” in the first 6 “Star Wars” films. He also appeared in “The Elephant Man, Time Bandits, Willow, Flash Gordon, Amadeus and Jim Henson's Labyrinth”. 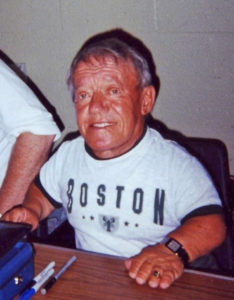 Scottish actor Jimmy Vee has taken over the role of R2D2 from Kenny Baker in the most recent films of the “Star Wars” franchise. He has played a variety of roles in the “Doctor Who” series and appeared as a goblin in “Harry Potter and the Philosopher's Stone”. Another Star Wars alum, Warwick Davis, stood 2' 11" when he was cast as the lead Ewok in “Return of the Jedi” (1982). 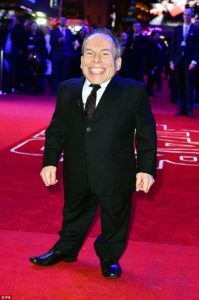 He then starred as the title character in “Willow” (1987) and has since gone on to a long career playing numerous roles including “Professor Filius Flitwick” in the “Harry Potter” series. 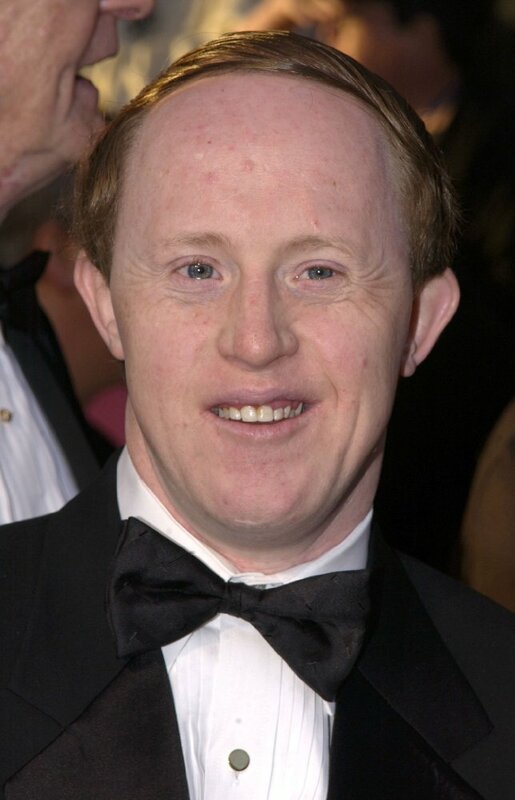 He has performed in many filmed versions of “The Chronicles of Narnia” and played the title role in “Leprechaun”. Mr. Davis opened Willow Management in 1995, an agency devoted to representing actors under 5 feet in height and has since expanded the roster to include actors over 6’6” in height as well. Verne Troyer, the 2’8” “Mini-Me” played numerous roles before making it BIG in “Austin Powers: The Spy Who Shagged Me” (1999) he reprised the role in 2002’s “Austin Powers in Goldmember”. 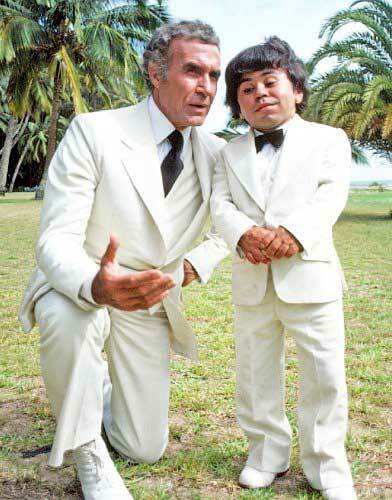 Hervé Villechaize is best known for playing the evil henchman Nick Nack in the James Bond film, The Man with the Golden Gun (1974), as well as Mr. Roarke's assistant, Tattoo, in the television series Fantasy Island (1978–1984). Hervé was a French actor of Filipino descent. From 1970 to 1978 Villechaize performed as Oscar the Grouchon Sesame Street when the character needed to be mobile and was seen as a pair of legs peeping out from a trash can. 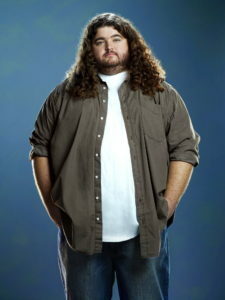 The actor suffered from having full sized internal organs inside his 3' 10" frame. 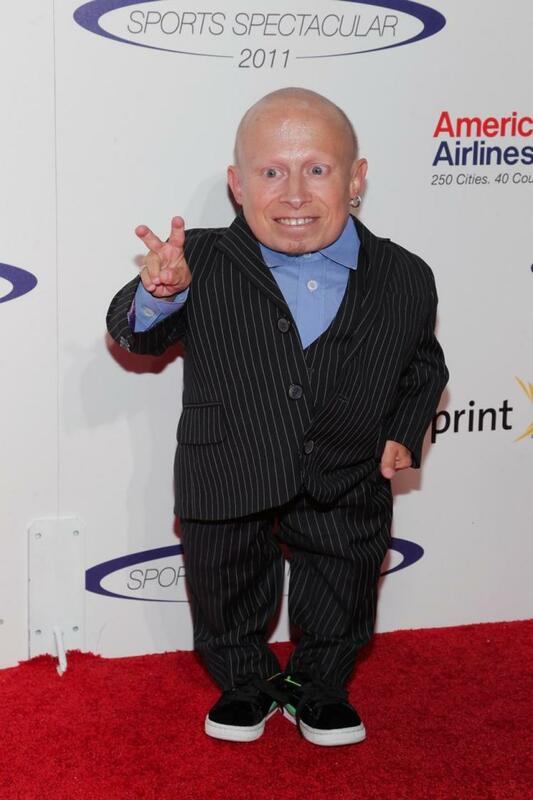 Michu Meszaros 2’9” came from Hungary to America to work for the Ringling Brothers and Barnum & Bailey Circus and was billed as the "Smallest Man in the World". He had a few parts in Hollywood including “Big Top Pee-wee” (1988) and performed as “Alf” in the comedy TV series (1986-90) when the full body suit was required. Hollywood is generally known for cranking out images of extreme beauty and certainly not for it’s portrayal of overweight individuals. 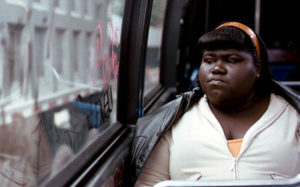 Actresses are constantly pressured to lose a “few pounds” so it was very profound to see a film like “Precious” released in 2009 starring Gabourey Sidibe as Claireece "Precious" Jones in the Oscar nominated lead role. Typical of such unique casting, most individuals fall from the limelight and return to oblivion after their initial star has faded but Gabourey broke that pattern with regular recurring roles in “The Big C” (2010-13), “American Horror Story” (2013-16), and “Empire” (2015-2017). Another large actor who has found continued success is Jorge Garcia who quickly won many fans as “Hugo ‘Hurley’ Reyes” in “LOST” (2004-10). Seeing Jorge as a major character in a wildly popular TV series at the time was very novel idea. Garcia would continue to fill our screens on “Hawaii Five-0” (2010-present). The wildly popular series “This Is Us” (2016-present) constantly breaks the mold of conventional storytelling. It focusses on the family of 3 unique twins. Chrissy Metz plays the role of “Kate Pearson”, the overweight sibling. While Chrissy is a large actress she actually does wear a “fat suit” to enhance her size which she previously did as well for her role as a fat lady sideshow performer in “American Horror Story” (2014-15). The physically and developmentally challenged. 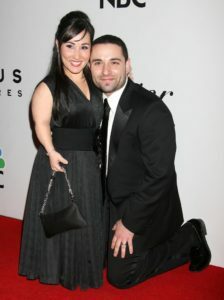 While Hollywood has made use of many individuals who's lack of physical features allow for special effect shots to depict things like loss of limb these individuals are usually relegated to "prop" status and not for their acting abilities. One growing area of opportunity is for actors living with Down's Syndrome. When Chris Burke was cast for "Life Goes On" (1989–93) he became the first actor with Down's Syndrome on a national network weekly drama. The show was created around Burke after the producer had previously worked with him for the TV movie "Desperate" (1987). Lauren Potter played the role of "Becky Jackson", the down trodden assistant to the tough-as-nails Phys-ed teacher "Sue Sylvester" on "Glee" (2009-15). 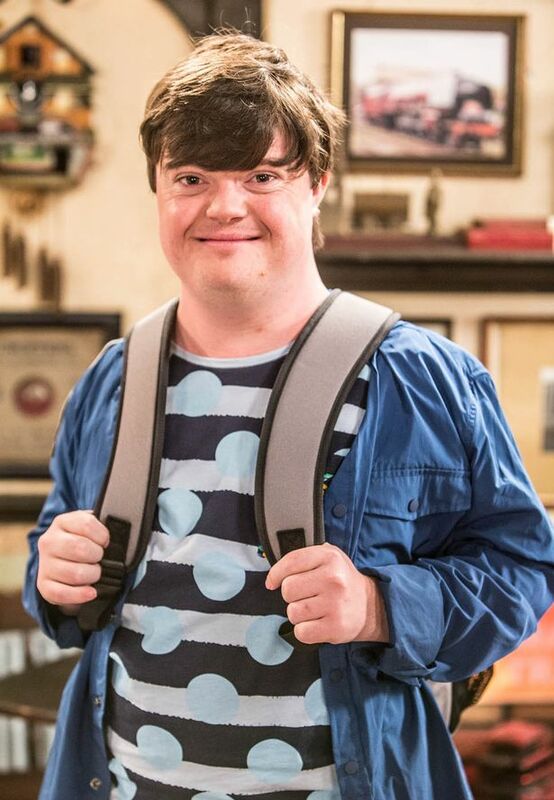 Liam Bairstow plays "Alex" on "Coronation Street" (2015-present) and is the first actor cast with Down's Syndrome on the show. Liam, who was 26 at the time, was recruited after being spotted in ITV’s "Breaking Through Talent" disability workshop, created in response to actors with disabilities getting few audition opportunities. I am shocked that Warwick Davis for all his years of creating memorable characters has not received a Star on the Hollywood Walk of Fame. The deadline for 2018 nominations is May 31, 2017. I plan to create a campaign to rectify this.